Ferns are an attractive addition to any home or office. Ferns are popular because of their graceful foliage and ability to grow in low light. Many different types of ferns can be grown indoors for interior decoration. The Boston Fern (Nephrolepis exaltata ‘Bostoniensis’) is commonly grown in hanging baskets. There are very small ferns no more than 6 inches tall that are best suited to growth and viewing in a terrarium. Some of the larger ferns may grow into a 5-foot ball when mature and grown in a hanging basket. The appeal of ferns comes from their graceful foliage and growth habit. While the ferns we most commonly picture have finely cut leaves called fronds, there are many other foliage types. Holly ferns have fronds with broad segments that are leathery, shiny and toothed like holly leaves. Several other ferns have fronds that are not divided at all. Staghorn ferns foliage is deeply lobed and resembles moose antlers. A few ferns are also grown for their unusual stems that creep along the soil surface. These rhizomes are covered with brown or tan hairs that make them look like animal feet. It is an oddly appealing look. The Squirrel’s Foot Fern (Davallia trichomanoides) should be grown in a north facing window. Ferns vary in their growing condition needs. Several commonly grown indoor ferns have a well-earned reputation for being finicky growers, but others are surprisingly easy. Ferns with tough, leathery foliage usually adapt better to typical household conditions than feathery, delicate types. The more delicate types of ferns will grow best where they can be given special care. A terrarium or a very humid area such as a bathroom will suit them well. Most ferns prefer moderate, indirect light inside. Close to a north-facing window is ideal. Never put ferns directly in a south or west-facing window. Direct sunlight will damage the foliage. The ideal temperature range for most ferns is between 60 and 70 °F during the day. They like to be kept about 10 °F cooler at night. Bird’s Nest Ferns (Asplenium nidus) are easy to grow. All ferns are moisture lovers, but the amount that they need varies among the many different types of ferns. Some ferns like to be kept almost wet while others should dry slightly between waterings. Be sure not to allow any of them to dry out completely. Do not allow water to stand in pots since this can lead to root damage. Potting soil for ferns should be porous and allow excess water to drain quickly. Ferns grow best in an organic potting medium similar to soils in their natural habitats. Humidity is usually too low in the home for fine, thin-leafed ferns. Double pot your plants to help provide extra moisture. Double pot by placing the main growing container inside a second container lined with moist sphagnum moss. You can also lightly mist ferns occasionally. The humidity level in houses is very low during winter and ferns will need extra attention. Most ferns should be fertilized lightly once a month from April through September. 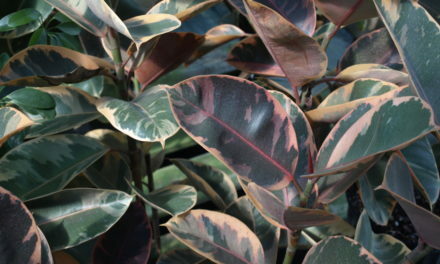 Liquid houseplant fertilizers should be applied at about one-half the recommended rate. Ferns will leaf scorch when fertilized too heavily. Do not fertilize ferns during the winter. Do not feed new or repotted plants for six months. A Kangaroo Paw Fern (Microsorum diversifolium) needs regular, even moisture all year to grow properly. The best method of propagating most ferns is by division. Repot overcrowded plants in early spring, using a mixture of equal parts of a packaged houseplant potting mix and peat moss or leaf mold. Fern fronds are sensitive to rough handling. Place ferns out of high-traffic areas to avoid damage. The most common insect problems are scale insects and mites. Pesticide sprays injure many ferns. Read the label of any control product carefully, test the spray on a small area or number of plants first, and observe for injury. Insects can often be removed by hand picking or by a brisk water spray outside. Ferns may develop brown leaves or leaflets at low humidity. This is especially common on ferns with thin, delicate fronds, such as maidenhairs. (A. capillus-veneris) 6 to 20 inches tall Light of a north window is ideal. Day temperatures of 60 to 70 °F and night temperatures of 50 to 60 °F. High humidity of about 50 percent is needed. Keep the soil moist at all times. Maidenhairs are difficult to grow in most homes. Maidenhair ferns are graceful and delicate in appearance, with tiny leaflets cascading along black wirelike stems. The fan maidenhair has fan-shaped leaflets, which sometimes overlap. The southern maidenhair fern has exceedingly delicate fronds. (Asplenium nidus) Grows to 18 inches tall Prefers the light of a north window. Keep the soil moist. Ideal temperatures are from 55 to 70 F. Birds nest ferns are easy to grow. 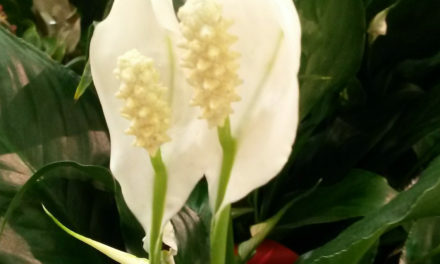 Broad, soft green, undivided fronds are arranged in a vase shape. ‘Antiquorum’ has ruffled edged fronds. (Cyrtomium falcatum) Grows up to 24 inches tall. This is an easy, adaptable fern. It tolerates dry air, drafts and low light levels. Prefers a north window with night temperatures of 50 to 55 °F and day temperatures of 68 to 72 °. It can tolerate temperatures as low as 35 F. Leathery, dark green fronds are very glossy and toothed along the edge like holly leaves. Can also be grown outside on the coast. (Davallia trichomanoides) 12 to 18 inches tall North facing window. Night temperatures of 50 to 65 °F and day temperatures of 65 to 85 °F. Keep the growing medium barely moist at all times. Do not bury the creeping rhizomes. Creeping rhizomes that are soft and furry extend over the edge of the container. These ferns are well-suited to hanging baskets. The dark green fronds are feathery. (Dicksonia antartica) Could grow to 45 feet tall if space was available Filtered bright light, 65 °F during the day, high humidity, needs to be constantly moist. Challenging to grow well. The trunk is covered with brown fibrous roots. The foliage is huge, very finely divided and light green. It takes many years to develop a trunk. (Lygodium japonicum) Limited only by your room size, can grow 40 feet tall Bright light is best for this fern. Keep it slightly moist at all times. May go dormant in late winter. Trim off the old fronds when you see new fiddleheads appear. The unusual climbing habit is the reason most people grow this fern. It can be grown in a hanging basket or trained on a trellis. The delicate fronds have attractive scalloped edges. (Microsorum diversifolium) 1 foot tall, 3-4 feet wide Grow in a bright north facing window. Keep the soil moist, but not wet. Night temperatures of 50-55° and day temperatures of 68-72°. Originates in Australia dark green leathery fronds with creeping rhizomes. Easy to grow in pots or hanging baskets. (Nephrolepis exaltata) 10 to 12 inches up to 3 feet or more, depending on cultivar Bright indirect or filtered sunlight. Night temperatures of 50 to 55 °F and day temperatures of 68 to 72 °F. Keep the soil barely moist at all times. Needs high humidity to thrive. Watch for spider mites, scale insects and mealybugs. ‘Bostoniensis’ has arching fronds up to 3 feet long that cascade on all sides. ‘Compacta’ has 15- to 18-inch fronds. ‘Childsii’ grows to 10 to 12 inches with overlapping curling leaflets. ‘Fluffy Ruffles’ has stiff, densely leafed upright fronds. ‘Verona’ has lacy drooping fronds. ‘Fluffy Duffy’ is very fringed and compact. (Pellea rotundifolia) 12-18 inches tall Give some sun in the winter but bright indirect or filtered light the rest of the year. Keep moist but not wet. Small, leathery, round leaflets are arranged evenly along arching slender stems. (Phyllitis scolopendrium) 6-12 inches long Bright indirect light. Prefers a cool 40 to 60 °F temperature range. Keep evenly moist throughout the year with less frequent waterings in winter. 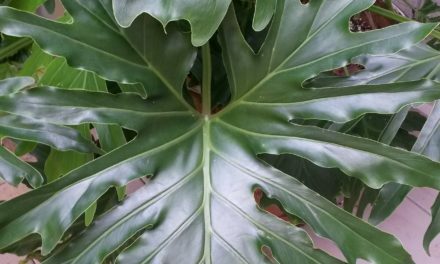 Straight or curved strap-shaped leathery leaves. ‘Crispum’ has deeply frilled edges. (Platycerium bifurcatum) 3 feet or more in length and width Bright indirect or filtered sunlight. Night temperatures of 50 to 55 °F and day temperatures of 68 to 72 °F. Keep the material on which the plant grows moist at all times. Staghorns need very high humidity that is hard to achieve in most houses. The plant has two kinds of fronds. Large gray green antler-shaped fronds hang down. At the base of the plant are rounded tan fronds that look like inverted bowls. These are used to tie the plant to its support. Staghorns grow on the bark of trees or other supports rather than in soil. (Polypodium aureum) 2 or more feet long Bright indirect or filtered sunlight. Night temperatures of 50 to 55 °F and day temperatures of 68 to 72 °F. Keep the soil barely moist. Do not bury the creeping rhizomes. Leathery fronds rise above thick, furry creeping stems called rhizomes. ‘Mandaianum’ has bluish-green fronds with twisted and toothed edges. (Pteris cretica) 6 to 12 inches Light from a north-facing window is ideal. Night temperatures of 50 to 55 ° and day temperatures of 6 to 72 °F. Keep the soil barely moist. Brake ferns are easy-to-grow. ‘Albo-lineata’ is a low-growing type with a cream stripe in the center of each leaflet. ‘Childsii’ has light green frilled leaflets. ‘Wilsonii’ is a bright green type with finely divided frond tips. (Pteris ensiformis) 6 to 12 inches North-facing window light is ideal. Night temperatures of 50 to 55 °F and day temperatures of 68 to 72°. Keep the soil barely moist. Brake ferns are easy-to-grow. 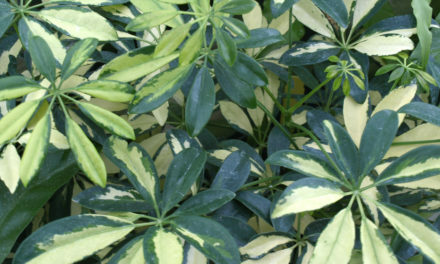 ‘Victoriae’ has silvery white fronds edged in dark green. (Pteris multifida) 6 to 12 inches North-facing window light is ideal. Night temperatures of 50 to 55 °F and day temperatures of 68 to 72 °F. Keep the soil barely moist. Brake ferns are easy-to-grow. ‘Cristata’ has dense dark green fronds with long slender leaflets that end in frilly crests.